Are you planning a hen party for that bride to be who loves adventure and trying new things? Then why not start off your Hen Party Activities with a Quad Bike Adventure? A Quad bike ride may be just what the bride to be needs to get out into the fresh air with her gal pals, have some fun, blow off some steam, and get a little much needed sunshine before her big day. And since our Quad bike rides take only an hour there will be plenty of time left to go for a relaxing massage, pedicure, or dance the night away at a local club. Your Quad bike adventure begins with a short safety briefing and then training on our practice circuit. This gives you a chance to get use to driving a Honda Quad 250 before actually hitting the trail. Once the instructor is sure that you can handle your Quad 250 he will take you and your and friends on a trek around a beautiful 360 acre working farm when you blow off steam and enjoy the scenery. While the trek will be chosen to match your Quad riding skills, you will be able o enjoy the excitement of bumpy tracks, beautiful picturesque woodlands, and lots and lots of mud. You only need 2 people to book his adventure and it lasts an hour after which you can enjoy one of many of other services provided including time at spa or enjoying a nice relaxing meal in a restaurant. 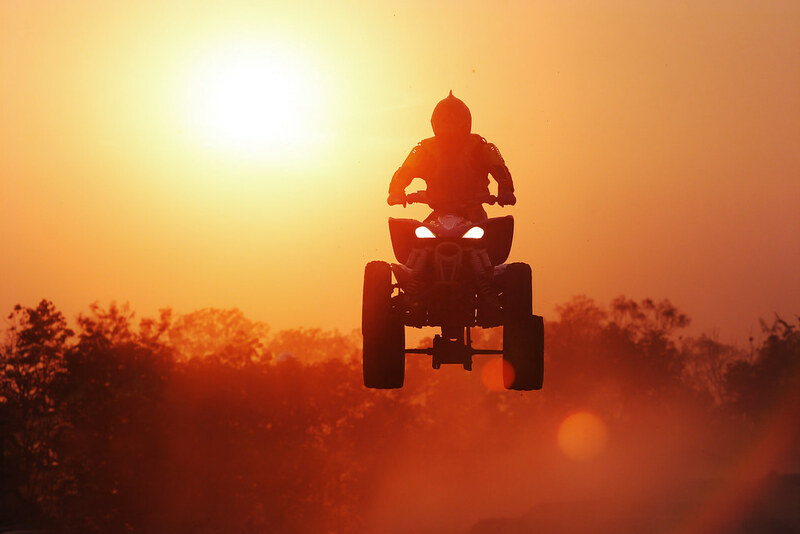 While going quad riding as part of your hen parties activities may seem to be an odd choice for some there really are several good reasons why this is a great way to start off hen party. Chances are the bride to be has been spending the last few weeks indoors, preparing for weddings, doing last minute shopping, and attending her bridal shower as well as meeting some soon to be relatives for the first time. If she is like most brides she is probably ready to get out of doors and enjoy some fresh air and fun where she can forget about all those plans and what still needs to be done for just a little while. Quad biking and concentrating on the trek gives the bride and her bridal party to forget about the upcoming wedding for a short period of time and simply have fun. It makes a beautiful bonding experience for the bride and wedding party to enjoy together and will help them to feel even closer on that big day. Of course Quad biking is not just for hen parties, but is actually a good vacation or honeymoon activity, or simply a chance for the about to be bride and groom to get away and have a little fun together before the wedding. 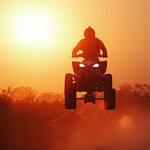 So why not book that Quad bike adventure for that hen party you are planning or just for some extra fun. Want to know about Quad riding hen parties? Call us today.